Another in a series in which I comment on M.F.K. Fisher’s 1986 annotations of Catherine Plagemann’s 1967 Fine Preserving, layering past and present, research, experimentation and outright opinion. This project is a blast. 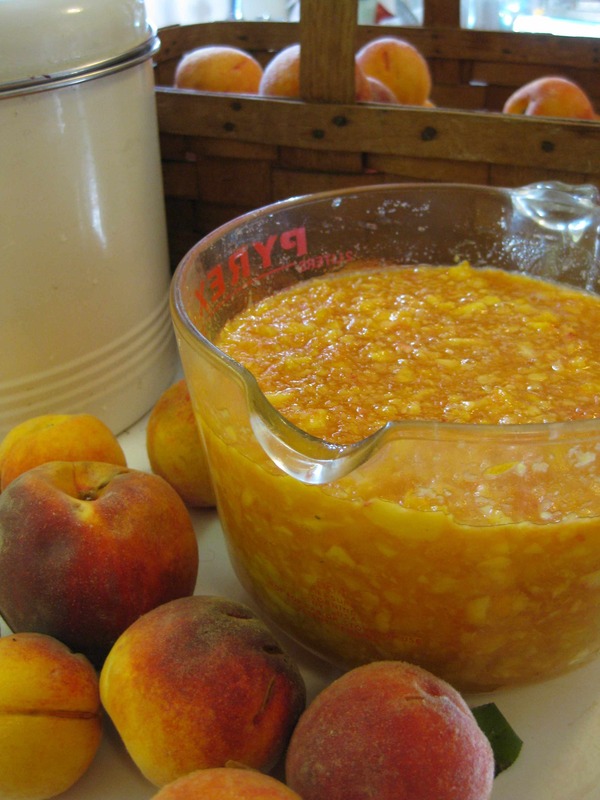 “Peach jam is always good…unless there is our family jar of Emily’s marmalade to hand,” writes M.F.K. Fisher in the margins of a Catherine Plagemann recipe called “Fanny’s Peach Jam.” There’s something charmingly nostalgic about naming jams after the people who make them over and over. They conjure up stories, true or not. You could say Fisher’s wry remark was a bit of one-upmanship but maybe it was simply an association with a world of caring housekeepers. Of course, I’m making a leap to say that Edith was a housekeeper only because Plagemann tells us a little about Fanny Gerlach, who had worked with her cousin’s family in Lancaster, Pennsylvania for 48 years, taking care of scores of people over several generations. “There are some people who are so remarkable that the world wouldn’t spin the same if they weren’t right where they are, and Fanny is one of them,” writes Plagemann. 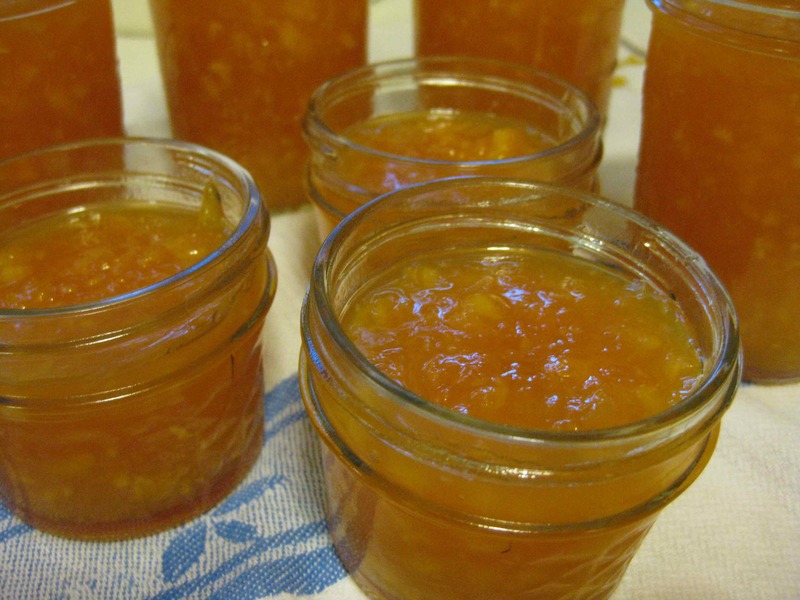 Plagemann explains that Fanny made the jams and jellies that were best liked by the family, and declares that, “This is one of these recipes – one of the few peach preserves that has any character.” And it does have character, contributed by the chopped navel oranges and lemon that are suspended within a light, peachy base. 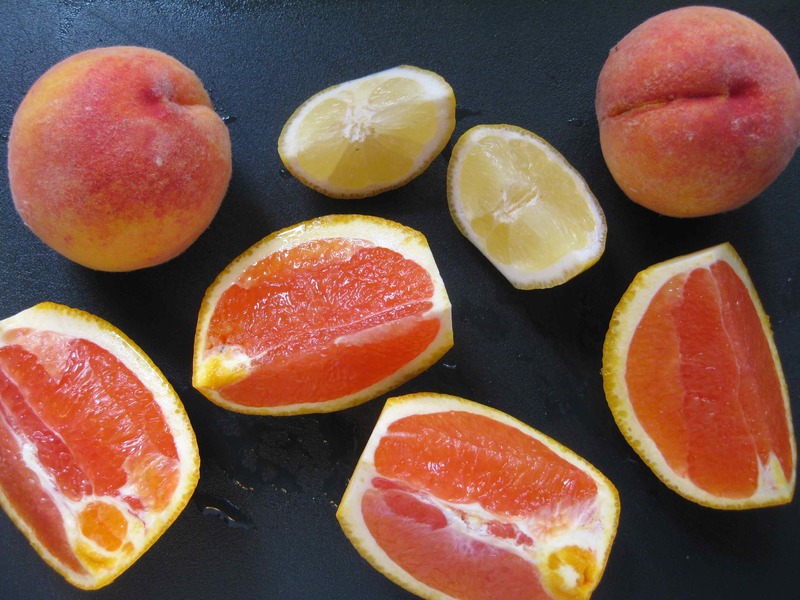 I used cara cara oranges because of their color and gentle flavor, pretty and not overwhelming for the peaches. Since the citrus would have enough pectin to set the jam, I took the liberty to reduce the sugar from 100% to 75% of the volume of fruit. It could go even lower with the addition of more lemon juice and a packet of citrus seeds inserted in the fruit and sugar mixture while it macerates overnight. A cross between marmalade and jam, it could also use a little oomph from the addition of lemon juice, or even the use of a whole lemon instead of a half. Nonetheless, this recipe’s a keeper. Coarsely chop the orange and lemon in a food processor and add the peaches, chopping the entire mixture into a medium grind. Measure the fruit and add sugar equal to 75% of the volume of fruit (e.g., for 6 cups of fruit, add 4 cups of sugar, which is the volume I achieved.) Stir well, cover and refrigerate overnight. The next morning, boil the fruit until it sets a gel tested on a saucer placed in the freezer, about 12 minutes, or cook it longer, up to 20 minutes as Plagemann did, to achieve a dark jam. Take care to stir it constantly as peaches have a tendency to burn. Process for 10 minutes using a water bath canning method. This recipe made 7 eight-ounce jars.